Home / E-Cigarette Information And Links. This 200 page report on vaping science was authored by the Royal College of Physicians. You can find it below in our Links. The Tobacco and Vaping Products Act (TVPA) became law on May 23, 2018. 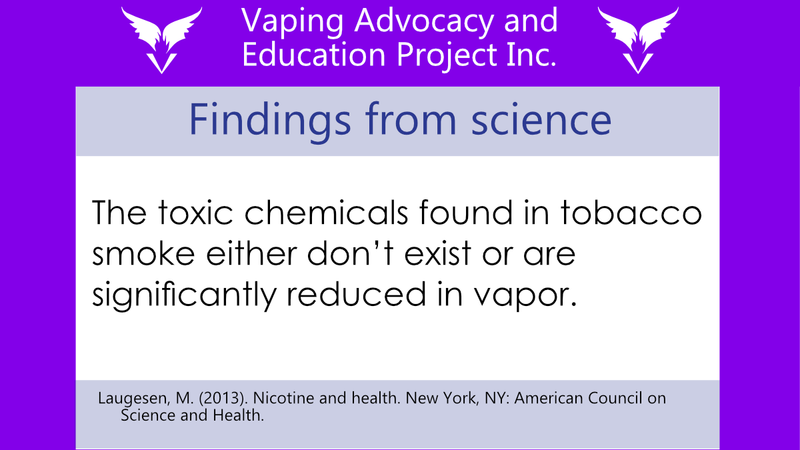 The HESA committee reviewed the science on vaping and recognized that vaping is less harmful than smoking. Vaping is now legal in Canada. 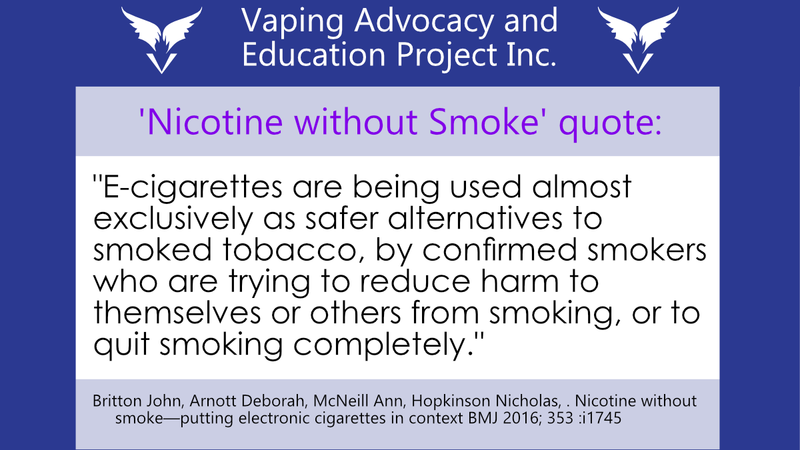 The Center for Addictions Research of BC at the University of Victoria released in January 2017 ‘Clearing the Air: a systematic review of the harms and benefits of e-cigarettes and vapour devices’. ‘Nicotine without Smoke‘ is over 200 pages investigating the scientific research on vaping by an agency that has been an authority in medicine for 500 years. Public Health England’s purpose is to protect and improve the health of the public. 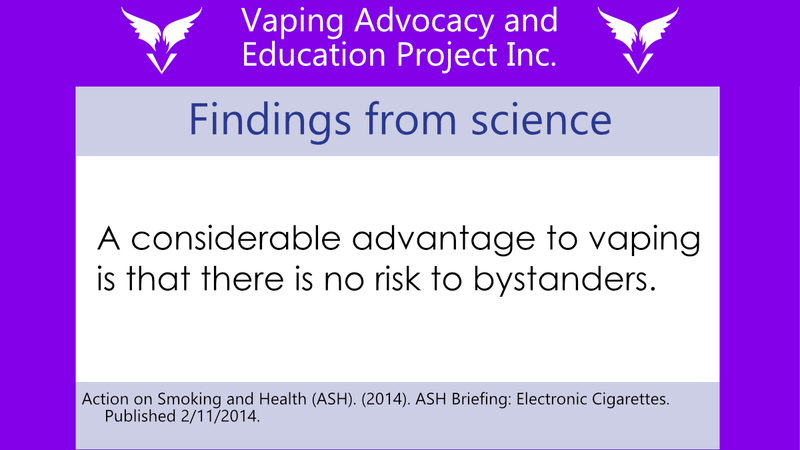 Their 113 page, ‘E-cigarettes: an evidence update’, assessed the harm reduction potential of vaping. DANA promotes evidence based practice in research and interventions in Alcohol, Tobacco and Other Drug-related applications. 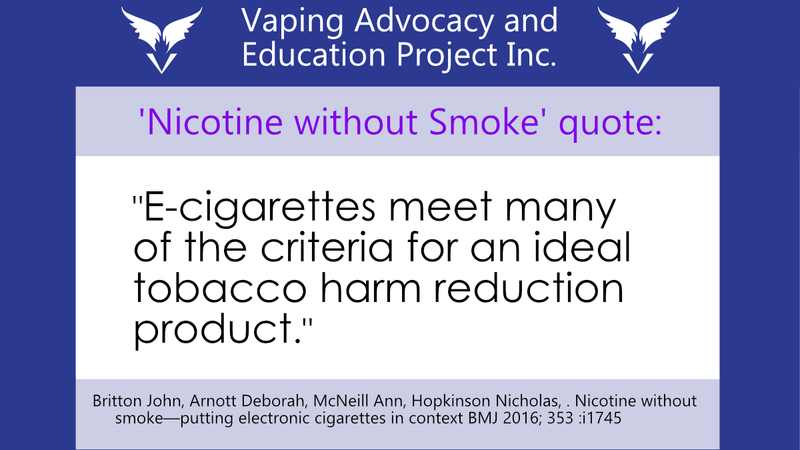 DANA Position Statement on E-Cigarettes 2017, recognizes vaping as a harm reduction strategy. This investigative documentary, directed by Aaron Biebert, takes an honest look at the vaping issue. It contemplates the reasons that the truth is being hidden from the public and the driving forces behind it. These film makers aim to “give voices to the voiceless, and make our world a better place.” You can rent or purchase this documentary from their website. Regulator Watch reports on how top issues are being handled by over 40 regulatory agencies. Featuring Brent Stafford, it investigates the public debate on a wide variety of important subjects including vaping. This website features over 70 videos on current and proposed vaping regulation. Running about 10 minutes, each news story contains interviews with people involved in or affected by vaping laws and policy. Carl V. Phillips, MPP, PhD, a former professor of public health and one of the pioneers of tobacco harm reduction (THR), writes a blog about THR, including vaping. It includes debunking anti-THR junk science and science education to empower the reader, as well as other scientific, social, and political analysis. “There are basically no honest arguments against THR that would appeal to most people, those who oppose it have resorted to a collection of lies…to encourage smokers to keep smoking.” This site has a large collection of blogs debunking vaping misinformation. Clive Bates is an advocate for “pragmatic science-based ‘harm reduction’ policies in public health”. His scope covers energy, environment, public health, international development and good governance. 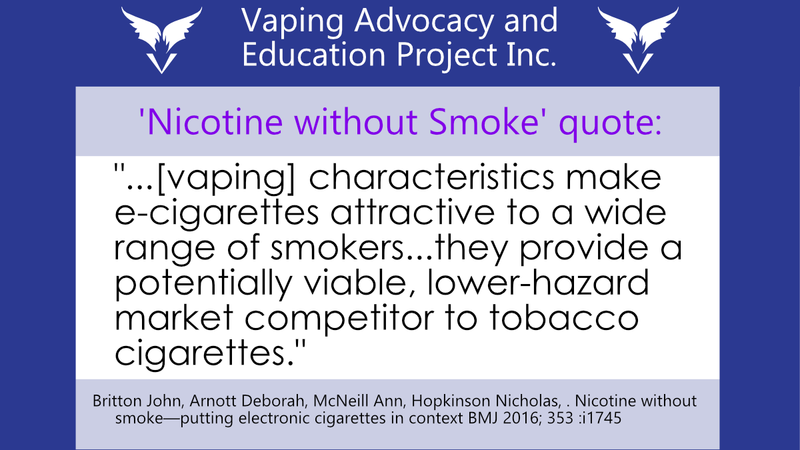 Mr. Bates has been at the forefront of tobacco control for decades and supports vaping. On his blog site you can find detailed briefings, analysis and critiques on current and pending vaping regulation. Dr. Siegel is a Professor in the Department of Community Health Sciences, Boston University School of Public Health. He has published dozens of papers on tobacco and has 25 years in tobacco control. His blog page takes a critical look at the government and nonprofit agencies positioning on vaping. He utilizes his expertise to illustrate a harm reduction perspective. His blog page investigates and comments on current issues in tobacco policies, focusing on harm reduction. E-ResearchFoundation (ERF) is a professional and transparent not-for-profit foundation run by all volunteers. 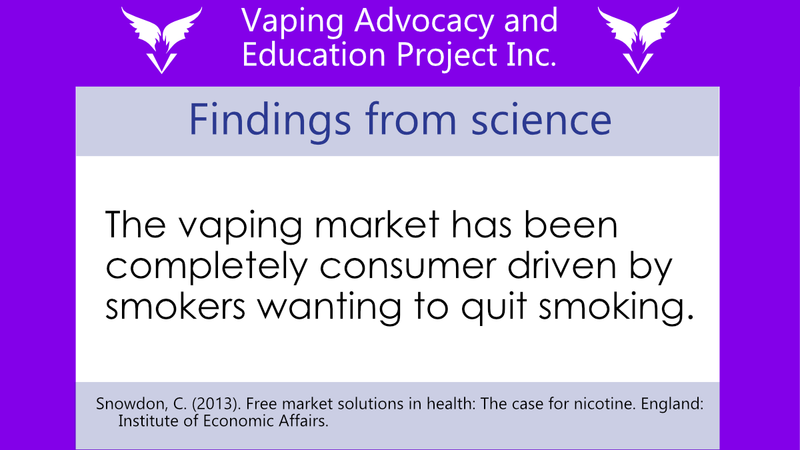 It was established to allow the vape industry to pool their money to fund independent research targeted for peer-review and publication. Their site has many videos of experts presenting the findings from such studies. The official scientific blog of Dr Konstantinos Farsalinos, examines the current science and research about vaping. He supplies a link to the study and critiques it from a harm reduction perspective. You can find a multitude of these reviews on his blog page. 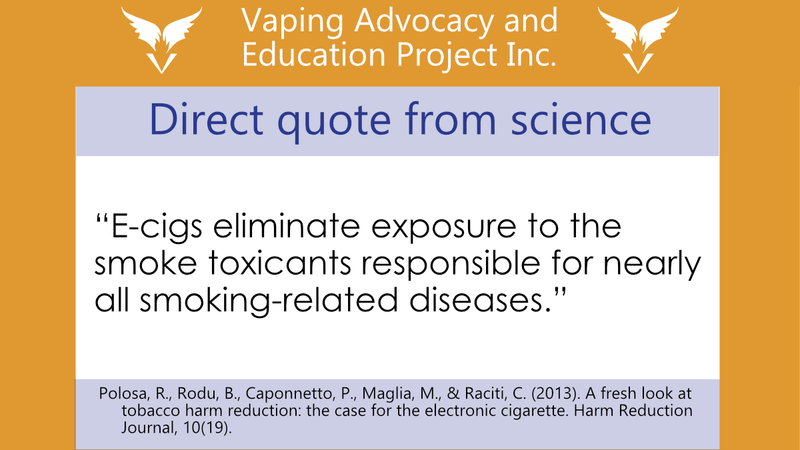 Dr. Farsalinos is a member of E-cigarette Research Group; their studies are also listed on his page. MOVE is an international group of scientists, doctors and public health authorities that aims to bring the science on vaping to health professionals. Their hope is to create debate and critical thinking in consideration of vaping as a harm reduction and smoking cessation method. On their site, you can find several interviews with healthcare professionals that support vaping. ECTA has set Canadian vaping industry standards covering documentation, testing, labeling, user manuals, storage and marketing claims. Industry members join ECTA and adhere to those standards. ECTA aims to form a program in collaboration with enforcement agencies to ensure safe vaping products for Canadians. 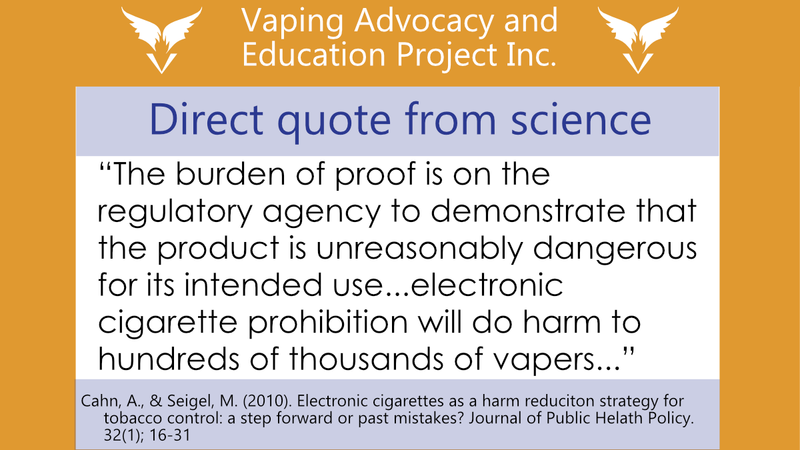 On their website, you can find great information such as resources on Canadian vaping legislation; and three must-read articles on battery safety. 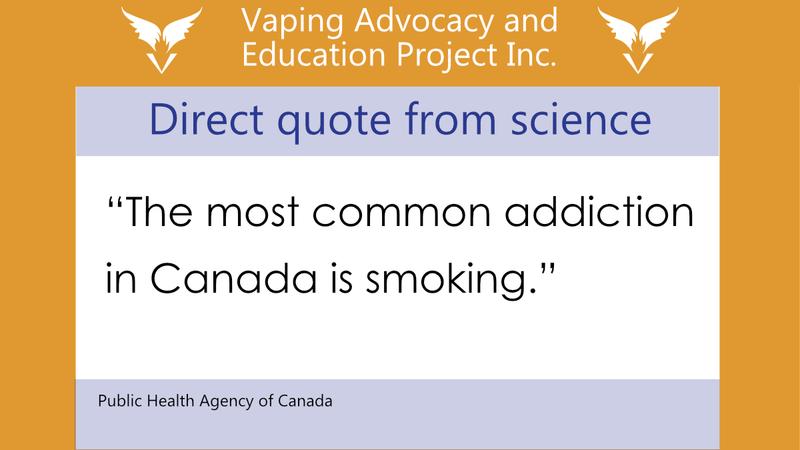 Since 2009, CASAA has provided the public with accurate information on tobacco harm reduction strategies.They fund research, provide free downloadable resources, and have excellent information on vaping via their website. Membership comprising of over 200,000 members is well thought out and comprehensive in its approach to effective advocating. Aotearoa Vape Community Advocacy (AVCA) are a group of volunteers in New Zealand committed to helping people access vaping information and products. Their aim is to help as many smokers as possible by providing information, guidance and mentoring. 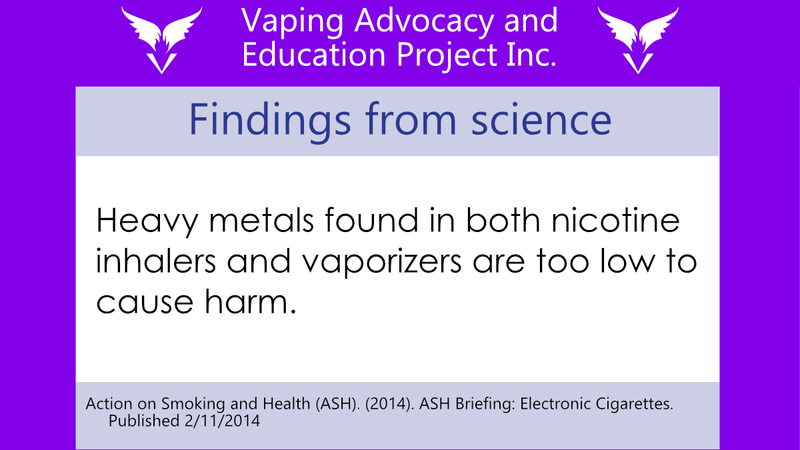 AVCA promotes vaping as an alternative to smoking and a harm reduction tool. Their ‘Vaping it Forward‘ program is a one month sponsorship by a current vaper helping a smoker transition by providing information, equipment and guidance. Vapers Stand United provides written and video testimonials from vapers all over the world. 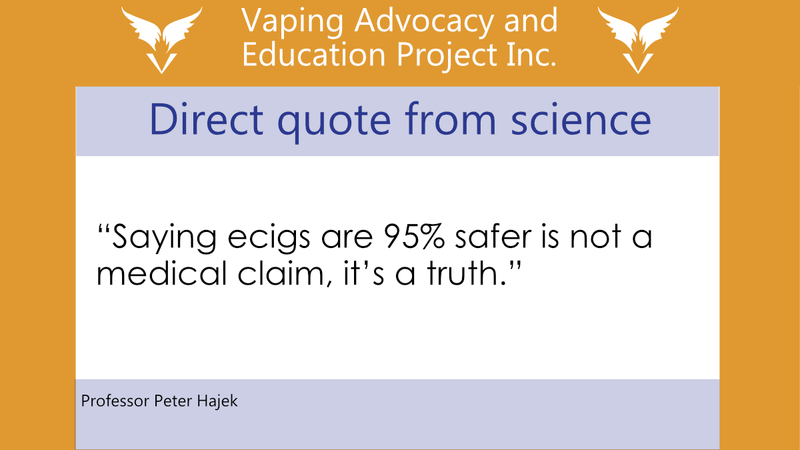 You can find many video lectures and interviews from the experts on tobacco harm reduction. Their website provides excellent guidance to aid smokers through the transition to vaping and a very handy glossary of vaping terms.